The Material's Colleen D'Agostino performs at The Roxy. The Material front-woman Colleen D'Agostino unleashes another dimension to her arsenal with an electro-pop solo project called With Beating Hearts. 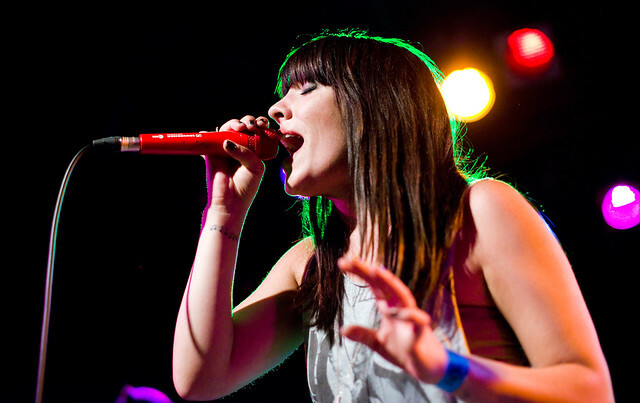 Collaborating with Blake Harnage of Versa (formerly known as VersaEmerge), Colleen's weathered and powerful vocals is front and center on her new EP The Wolves, an 80s inspired/electro project. "I have been working away at my solo project and 'The Wolves' EP for the past year and I am so excited to finally share it with everyone. I think I was itching to break away from the rock world for awhile and it felt good to tap into the electronic pop side of myself," D'Agostino says. "I think these tracks really captured the 80s child in me." The Wolves drops February 4th. 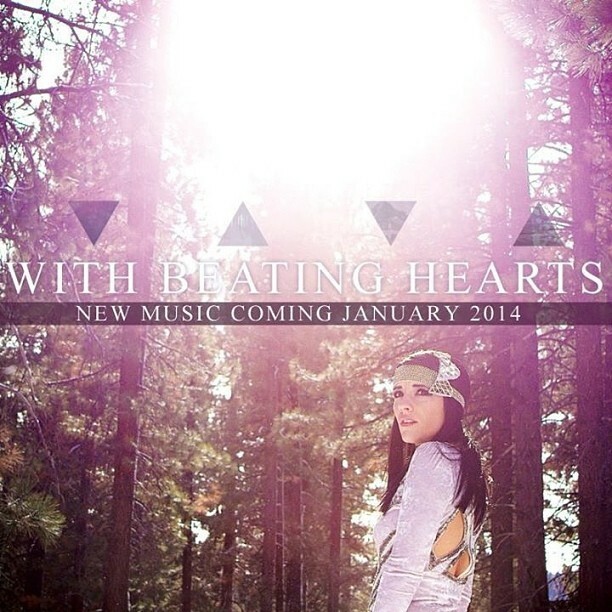 "The Wolves EP" by With Beating Hearts is out Feb. 4th.